Talk about ‘mood lighting’! 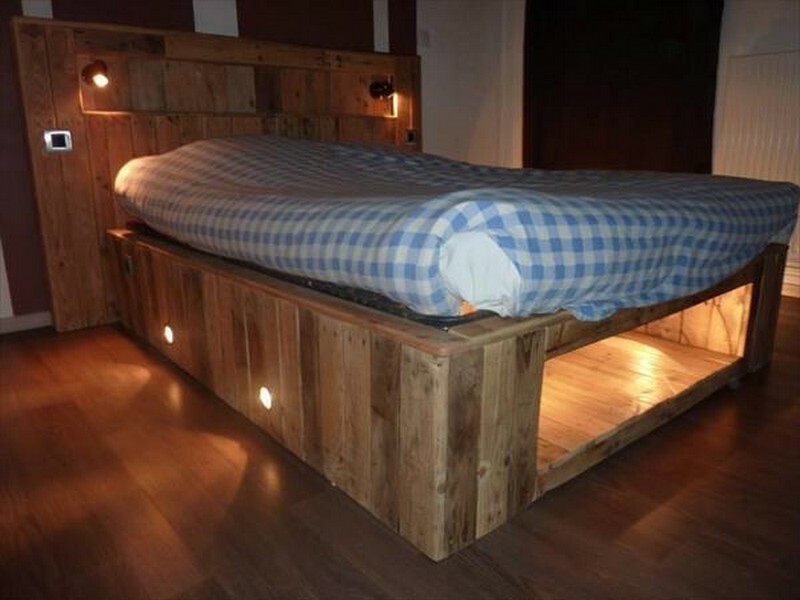 This is one of the easiest DIY bed projects you can do! 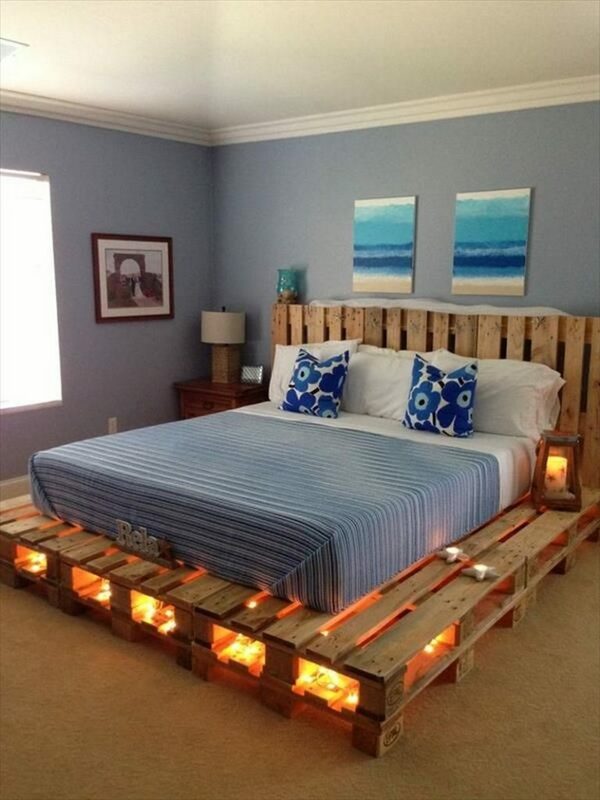 Some pallets, a mattress, a couple of lights and voila! Easy as 1-2-3! 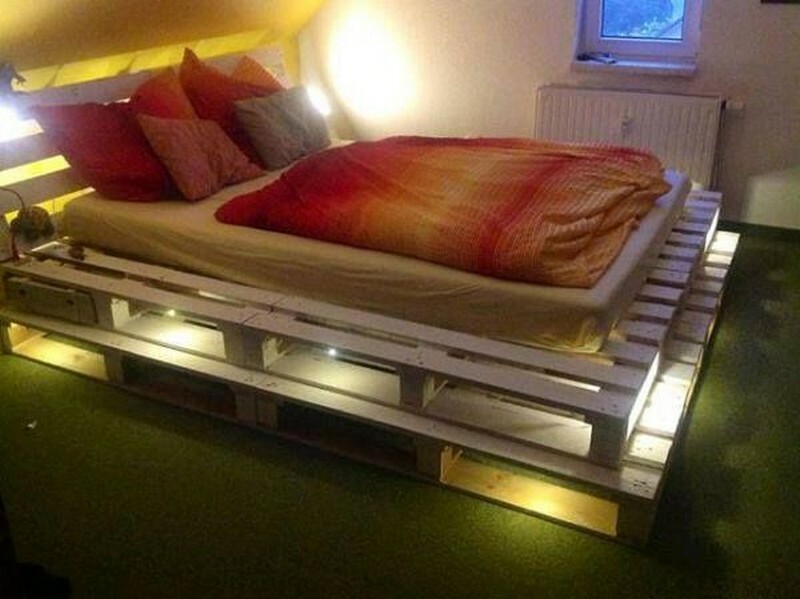 Pallets serve so many awesome purposes. 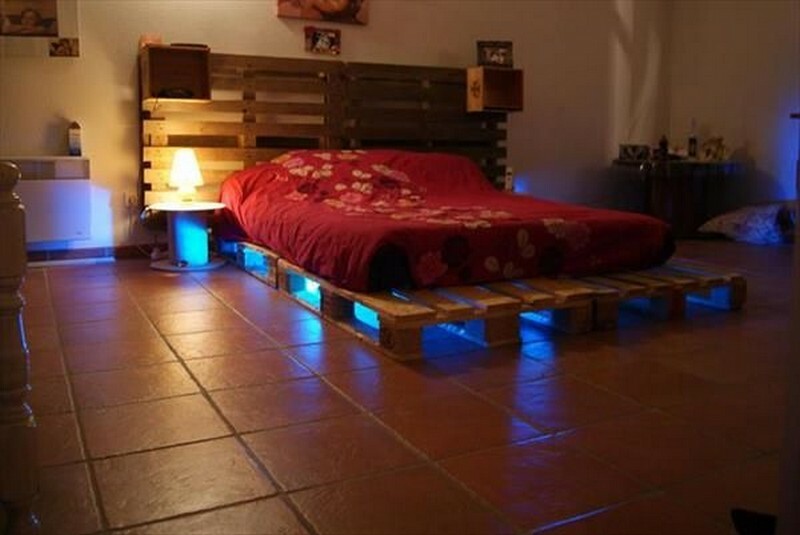 After a pallets initial use of moving large and storing large items, they can be used for numerous fun, creative projects – just like these illuminated pallet beds! 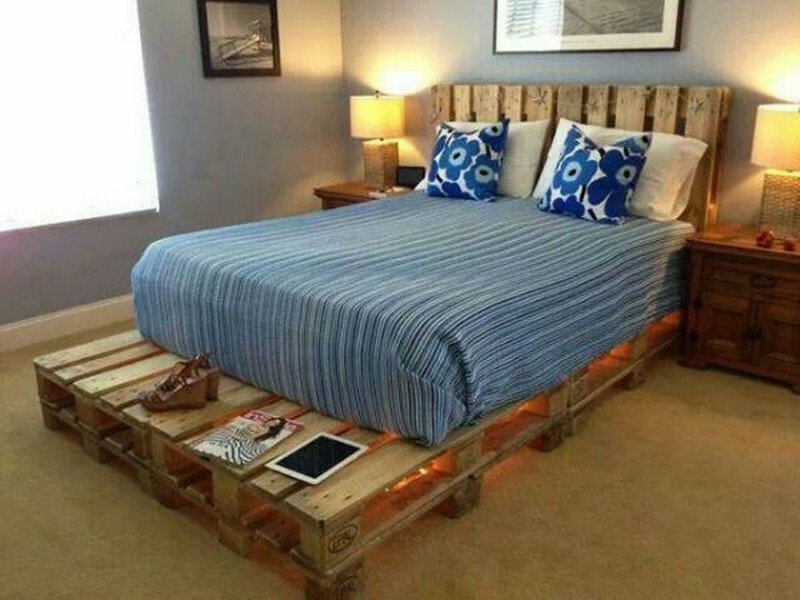 All you have to do is know how many pallets you need to get, arrange them and stick LED strips underneath! 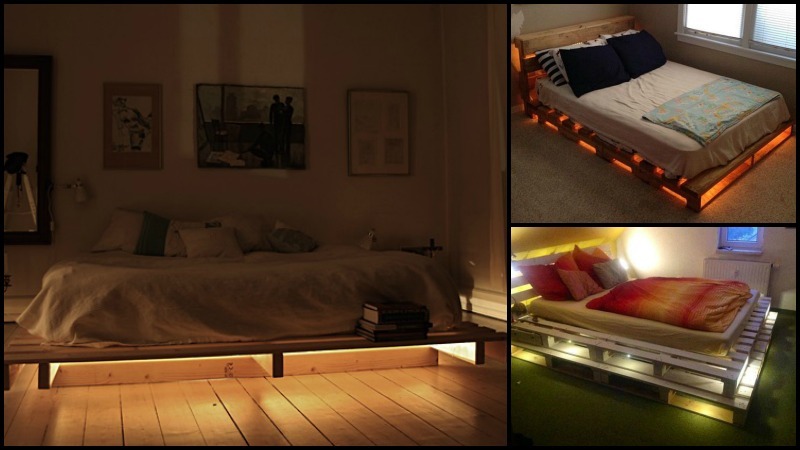 Warm white lights are perfect to help you get to sleep at night. Some people on the other hand prefer a different color such as red, blue or purple. You can have it whatever color you want! You can even add storage!